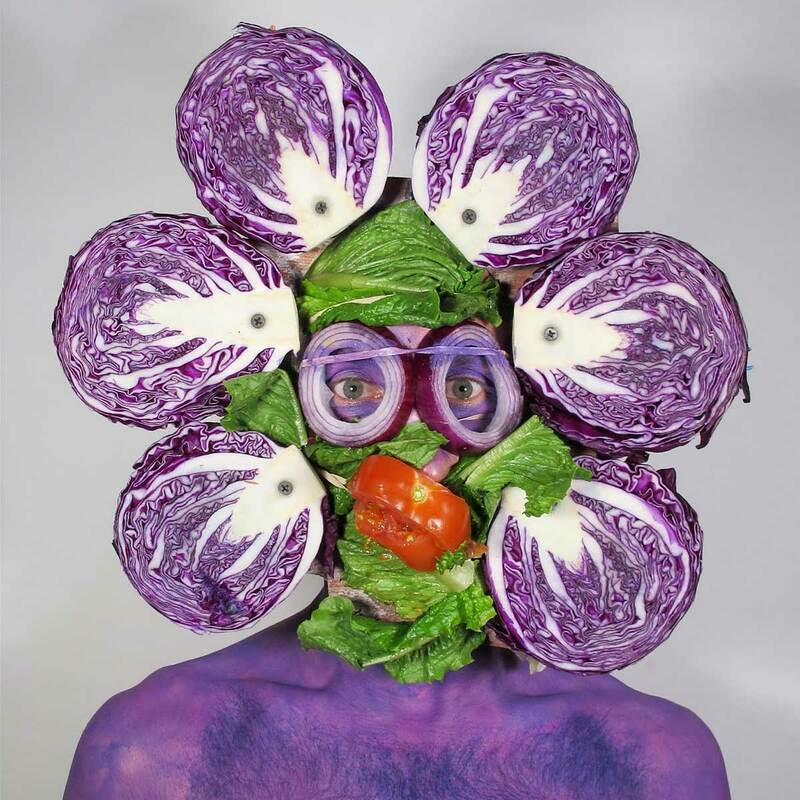 Artist David Henry Nobody Jr. on how impersonating a wealthy Trump fan "kind of drove me insane"
"I INHABIT IMAGES" is the Instagram bio chosen by David Henry Nobody Jr., the playful yet apt moniker of New York artist David Henry Brown Jr. Nobody's artwork often involves being totally engulfed by food, pigments, advertisement cutouts, or household items, sometimes to the point where he is only recognizable by a glaring eye or wide smile. While this project has been documented on Instagram and ongoing for three years, David Henry Nobody Jr. has always been fascinated with ideas of representation and identity. In 1999 Nobody, disguised as a fan, made it his mission to follow and meet Donald Trump as many times as possible over the course of a year. He totaled six interactions but decided to stick with the theme of impersonation for a new project in 2000 where he adopted the identity of Alex von Fürstenberg, VIP son of the fashion designer Diane von Fürstenberg. During this time, "Alex" was documented at numerous celebrity parties among figures like Puff Daddy and Bill Clinton. Return of Le Théâtre du Grand-Guignol -- "graphic, amoral horror entertainment"
Grand Guignol was a French theater from the late 19th century that specialized in hosting graphic horror performances. A typical show would involve insane or hysterical characters, gory special effects, and a very bloody ending. 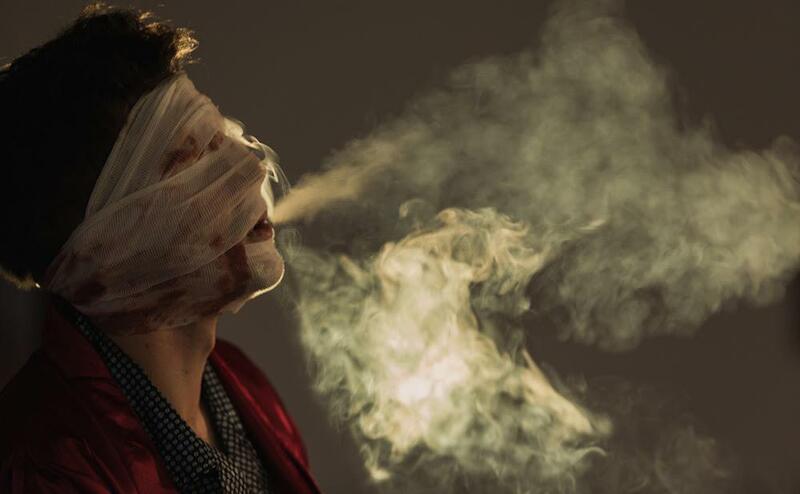 This month Corey Helford Gallery in Downtown Los Angeles presented three plays of Theater du Grand Guignol and two adult entertainments inspired by Oh! Calcutta!. With barf-bag and playbill in hand, audience members enjoyed very intimate showings of the one-act plays "Final Kiss," "Laboratory of Hallucinations," and "The Old Women." Schuyler Helford, the director, said that working with these translated French plays was a wonderful experience since they are relatively unknown and include a good amount of comedy, an element that made the horror even more chilling. Gasps and laughter were constant throughout "Laboratory of Hallucinations," a play about a mad doctor who performs a controversial operation on his wife’s lover. When the adulterer, now insane, awakens in an unfamiliar laboratory, he turns on the doctor and things get bloody. Harlem Rapper A$AP Ferg has collaborated with Adidas to design the Adidas Skateboarding x Trap Lord Collection, which was released on September 1st. 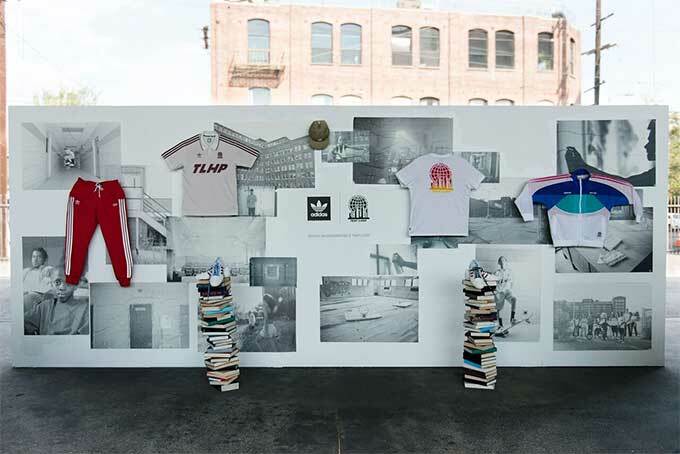 At the release party for the new collection, skaters were invited to participate in the Adidas Skateboarding “Skate Copa Court” competition to win cash prizes and giveaways. Adults and kids skated together and put on an awesome show for the people watching. Following the skate competition, A$AP Ferg performed, which was the highlight of the night. He even got off stage and moshed with the audience for a bit, which made everyone go wild. It was so cool to see a musician having fun with his fans like this during a performance. Both Adidas and A$AP Ferg made the release party a super fun experience. The Adidas skateboarding x Trap Lord collection serves as a bridge between hip-hop and skate culture. The collection features classic adidas pieces with designs by A$AP Ferg. It consists of a pair of customized Matchcourts, a windbreaker jacket, a pair of fleece pants, a jersey, a t-shirt, and a cap. A$AP Ferg’s music video for Nandos was also released along with the collection, and features the new Adidas pieces in it. I spoke with A$AP Ferg at the event about his collaboration with Adidas. He told me that one source of inspiration for the collection was the film Children Underground, which is about “mole kids” who live in underground tunnels and wear mismatched, vintage-looking clothing.